Last night, we had our sixth grade curriculum night, and it was a fantastic turnout by parents. We didn’t have a ton of time with each class of parents, as they were moving through their child’s schedule, but along with talking about the books we will be reading and the kinds of writing we will be doing and the technology we will be using, I also focused my presentation on the shifts that are underway in our state’s curriculum (i.e., Common Core). I want parents to understand how things are changing with the Common Core and what that means for their children in my classroom. As a parent, I don’t think our state or anyone involved in my children’s school district has done nearly enough to give me information about what the influence of the Common Core is having on the learning environments for my children, which leads me to believe that probably very little is changing and little is taking place. Which worries me on a few levels: first, given some past history, some of the teachers my children have had could use a little shake-up (sorry, I hate to talk bad about colleagues in other school districts but we have had our frustrations with mediocre teachers). Second, the state assessment is about to completely change in the next year or two, and I wonder if my boys’ teachers in even understand that. Given the nearly zero amount of information flowing from the classrooms to our home, I’d say .. I don’t think so. And finally, given the push for higher level thinking expected out of my children in school, I want to know how I, as a parent, can help my kids and their teachers with these changes. the highlighted domains of argumentative/persuasive and expository writing. In discussions afterwards, a number of parents expressed an appreciation for the information overview, and we talked as a group about what this means for their children, and how, quite honestly, we are still figuring out the right balances of these new standards. I had an interesting discussion with a dad, who remembers even to this day the high school class he took in which he read “the classics,” and he worries about the loss of prominence of fiction reading and short story writing. I assured him we would be still be working on those areas, just not as much as in the past. Still, I tried to keep it positive, without coming across as if I drank the Common Core Kool-aid. I noted that many of the shifts are important and critical skills for people to know in the informational age, and we would do our best to bring these 11 and 12 year old students along. But I was also frank in noting that developmentally, some sixth graders are ready for those complex, critical thinking skills, and some are going to struggle mightily. My role, I told parents, is to help my students make progress long multiple lines, and I asked them to make sure they stay involved, too. I saw this video and thought I would share it out, as it shows connections between the Common Core and technology/media. 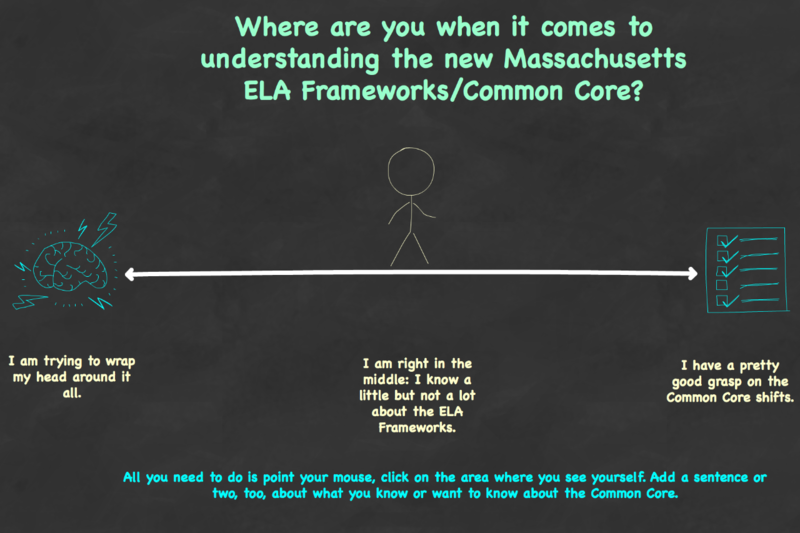 I led the first of three sessions in my own school district around the Common Core and our new Massachusetts ELA Curriculum Frameworks yesterday. It was a group of sixth, seventh, and eighth grade teachers from our elementary schools and our regional middle school, and for many of them, this is the first opportunity they have had to really dive into the standards and see what is there. I began the session by using a new tool called ThingLink, which allows you to layer text on an image. I created a time-line of sorts, asking them to situate where they are with knowledge of the CommonCore on the line, with a little note. There were a few glitches (maybe a limit on number of folks editing at the same time? I’m not sure) but in the end, it worked nicely to show me (the presenter) where everyone was, began sparking informal conversations among the participants, and introduced them to a technology tool they could now consider for their classroom. After a number of activities, including looking through our state’s guiding principles for key words and ideas and creating a word cloud (see above), we read a few articles and watched a video about the Common Core. What resonated with the teachers was the feeling that change is underway … and they are not quite ready for it. They also noted that many of the teachers in the video, from another state, were expressing the same anxieties. “I guess that’s a universal feeling,” one teacher noted, and we all agreed. As we ended our session up in Edmodo to reflect on something learned and a question still looming (and showing them how to use an online space for collaborative writing), the feeling in the room was our inquiry was helpful and that if they were to redraw themselves on the “line” from the start of the session, most of them would shift left quite a bit further. I consider that a good start. During professional development sessions around introducing the Common Core to teachers, I often stop at some point and ask them to create a visual image of their relationship to the Common Core. You’d be surprised the varied responses that we get, and how engaged teachers are when you ask them to draw (stick figures are OK). 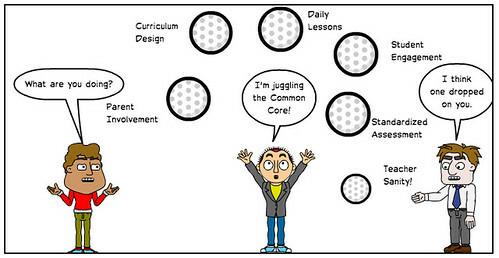 I often share the basics of mine, which is this idea of a juggling act in which various elements of the Common Core and my curriculum and myself are all precariously balancing in the air. Sometimes, something drops (as in the comic). What would your visual look like? Two posts this week have me thinking about the ways that business is shoehorning its way into our classrooms, and how alert we have to be to those influences, and those who are influencing our policy makers at the upper levels. Of course, most of this stems from the Common Core implementation now underway in most states. Businesses see an opportunity they just can’t pass up: a nervous market facing deadline pressures (school superintendents, curriculum coordinators) and unsuspecting clientele (teachers, students), plus public cash. I know that sounds a bit cynical, but it feels more and more to me as if schools are the next open market. First, Bill Fitzgerald over at Funny Monkey posted a few pieces about start-up businesses trying to carve out a niche in education. It seems to me that everywhere we turn, some app developer or business venture is trying to get a piece of the educational action. 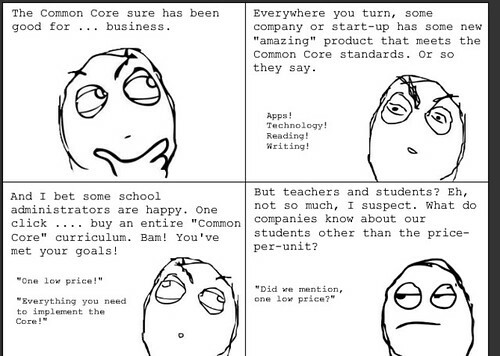 Maybe it has always been this way, but the Common Core movement has really opened up the floodgates, or at least that’s how I perceive it. Bill first notes that one start-up site (which includes a news collection that I subscribe to) appeared less about education, and more about the commercial aspects. In a second post, Bill notes how start-up ventures don’t always “get” what is needed in the classroom. He said some companies are good at building “widgets” that meet a specific need, but may not have real value when in the room with real students. Then, Paul Bogush crafted a piece this morning in which he dove into some test questions from his state of Connecticut, which is part of the Smarter Balance consortium for Common Core assessments. (We’re a PARCC state up here to his north, so I am curious about differences, etc.). Paul has written before about the business connections to the Common Core movement, and tried to make clear who is behind the movement. 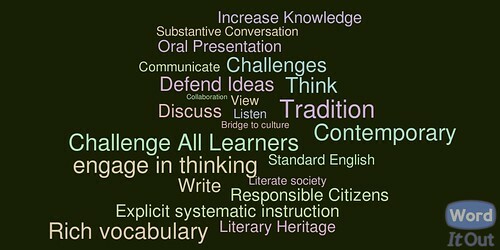 This morning, in his post entitled “In Bed with the Enemy,” Paul investigated some of the resources being used for the test questions that are aimed at his students, and realized that almost all of the online sources and sites being used were owned or at least partially-owned by the educational giant, Pearson. As teachers, we need to always have our eye out on these kinds of developments. Hey, the Common Core talk about “close reading” of texts and supports media literacy skills, and Bill and Paul are doing that with their writing. Are the rest of us doing it, too? Are we being critical enough of the resources we bring into our classrooms? I’ve been keeping an eye on PARCC (as you should, if you are a Common Core state moving into a PARCC assessment). The group recently released what it is calling “Initial Set of Test Items and Task Prototypes). It’s important to note that the information flowing now from PARCC are not necessarily test items of record, but merely examples to demonstrate what PARCC is shaping up to look like for our students (and for us, since let’s face it, we need to know how our students are going to be assessed). Another link took me to a “constructed response” to the reading, and this turns out to be a task in which students are asked to write a short story that extends their thinking around the text they have read. Their fictional story should use a character from the reading but also demonstrate understanding of the original author and use evidence from that story to inform their own story. 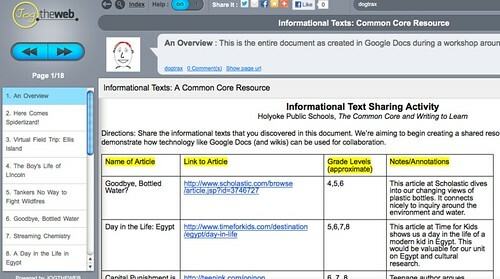 I like that idea, and it at least shows PARCC has some focus on narrative, fiction writing. I’d also suggest you check out the expanded (draft) PARCC rubric around narrative and analytic writing, as it is a helpful guide. I noticed many alignments already for our own school writing rubric. 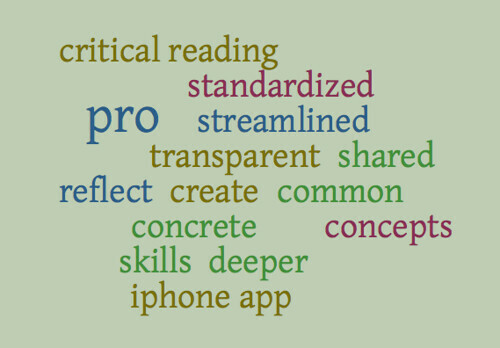 And finally, PARCC has released an updated Model Content Frameworks. If you are a PARCC state, you should check that out. Overall, I appreciate the information. The more I can get, the better I feel. I’m still worried, of course, and the lack of real information about or PARCC so far has increased my concerns (given that the timetable for implementation in our state is as early as next year for PARCC). I still need more time to read, absorb, and think about what PARCC has put on the table, and I welcome your thoughts, too. Whether we buy into Common Core and PARCC (or Smarter Balance, if that is you), the shifts are here and in front of us. Information is what need. This may be a trickle, but at least it’s a start. Next week, a colleague and I will continue our work with a group of teachers in a local school district as we explore more integration of writing into the classroom. We had begun our first week by diving into the Common Core, and now we are using the wonderful resource — Content-Area Writing — as the stepping stone into helping teachers understand the power of writing to learn. During our time together, we are going to be helping scaffold an I Search project, which is based around personally inquiry. I created the overview above with PowToons, just to give an idea of what an I Search is all about. Meanwhile, I, too, am embarking on an I Search project. My topic? What does science have to do with throwing a baseball pitch? It’s one of those things that I was never good at (pitching) but I watch my sons with wonder as they toss a variety of pitches that makes the ball do funny things in the air. I want to know why that happens, and if there are ways for me to throw a oddball pitch.